Matthisson wrote his poem Tibur on New Years Eve 1795. He situated it in the ancient Tibur (later renamed Tivoli), which lies picturesquely above the waterfalls of the River Anio (Aniene). In the poem he reflects on the years flying by. Let us, while we still can, wreath the drinking cups with myrtle. 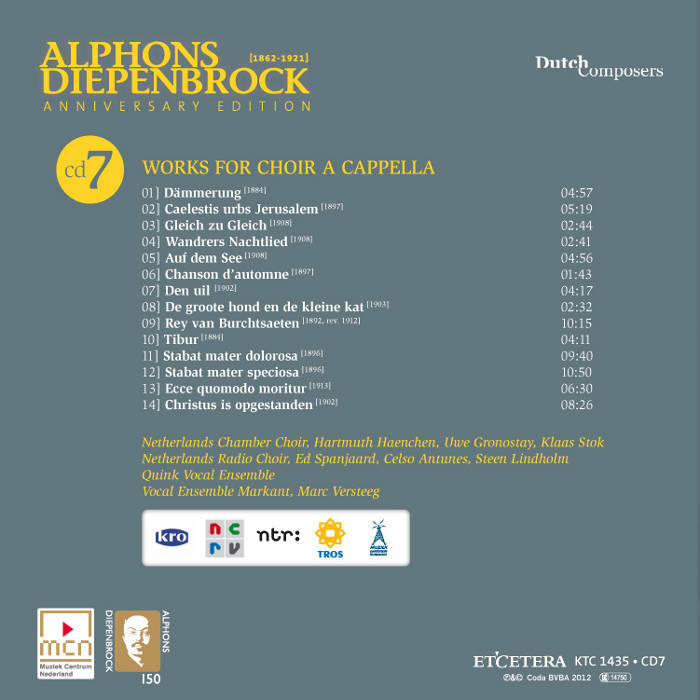 Of the three strophes, Diepenbrock only set the first and third to music in 1884. The sonorous setting is still entirely in the style of the Liedertafel. A quasi polyphonic opening introduces the overall homophonic piece. For the most part the dynamic range is restricted to p and pp. 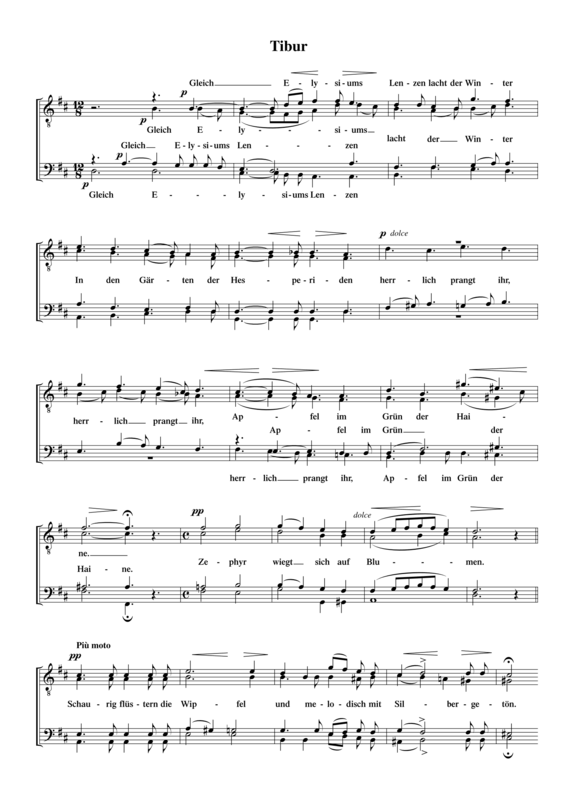 Only in the section “Die Jahr’ entstürmen” (The years fly), where the voices enter in succession with an ascending fourth, there is a crescendo via mf to f, soon followed by a diminuendo to pp on “Morgen Schatten und Asche”. (Tomorrow shadow and ashes). The call for wreathing the drinking cup is sung cheerfully (vivace and mf). Then the first strophe is repeated literally. Herrlich prangt ihr Apfel im Grün der Haine. Kränzt mit Myrthen heute den Becher. Her apples glisten splendidly in the green groves. And melodically in silvered tones. Today let us garland our goblets with myrtle.